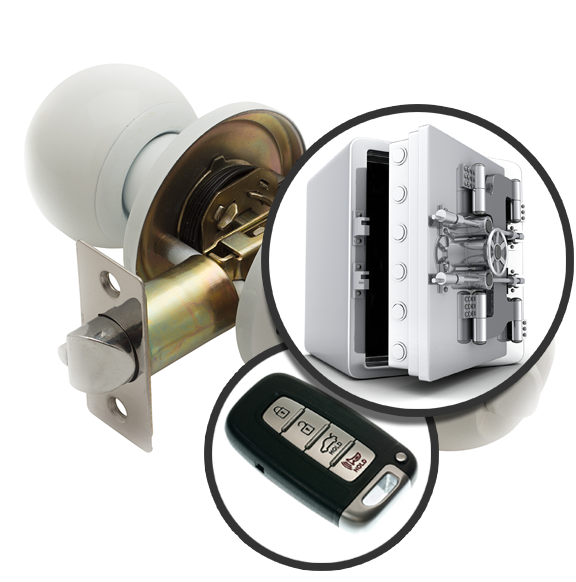 Our company offers commercial lock repair, rekeying and installation services. The needs of our clients are covered within reasonable timing byexperts knowledgeable of all commercial locking systems. This is of the essence when there is need to install new locks at large or small companies, rekey master systems and provide consultation. As a matter of fact, our knowledge keeps expanding as rapidly as progress is made in the locking industry. By taking fast steps towards progress, “Locksmith New Territory” manages to keep up with the most demanding needs of customers efficiently and is also in position to offer the right advice. Such things are very important in our domain and many clients depend on us, our expertise and dedication. Rest assured that everyone in our professional commercial locksmith team is able to meet such demands whether services or consultation is needed. Our company is very strict when it comes to its own team and overall organization. On-going training and improvements are what make our team top in commercial locksmith services. With companies needing to secure their premises with the most reliable systems and trust reliable experts, the confidentiality and skills of our professionals are of the essence. With us, you will be sure that your installation and commercial lock change needs will be taken care of with discretion and in due time. Need to replace some keys or locks at work? Trust that our team can suggest new age locks, offer advice and be there at the best time for you in order to carry out the requested service. Thanks to our professional installation services and our devotion every time you need an expert's view on which systems to choose, your company's security will be ensured. Our support continues with repair services and emergency assistance whether the panic bar is damaged or there is need for commercial lock rekey urgently. After years in this job, we understand perfectly how significant speed is when keys get stolen, the security of your company is compromised or you have lock problems. Rest assured that our help is immediate and our emergency services take place on-site. Do you need immediate replacement of a broken office key? Do you want to change a couple of damaged locks urgently? Not only will our mobile technicians serve your requests as soon as possible, but will also make sure the service is done properly. With knowledge of all types of locks, our technicians know how to open locked doors and how to extract keys without causing any damage. From simple commercial door closer repairs to the replacement and rekey of locks, and new installations, you can be sure of the dedication and competence of our team. Never hesitate to ask our opinion or call us for quotes! You can also send an email!